Michael Daniel Ho - The Wildlife Ho-tographer: Canon EOS 7D MK II camera coming soon? The recently concluded 2012 Summer Olympic Games in London was an important testing ground for pre-production Canon equipment. Among one of the cameras being tested was a megapixel model, perhaps with a sensor of around 40 MP. Canon, like Toyota, are leaders in their respective industry but they are conservative companies. On the other hand, Nikon, like Nissan are smaller and more nimble. They are willing to take more 'risk' and introduce new products ahead of their larger competitors. The Nikon D800 with its 36 MP sensor will force Canon to introduce their own megapixel model soon. Personally, I think the megapixel arms race is getting ridiculous but the marketing department keep on demanding those outrageous MP numbers to put on their sales literature. Canon is a much larger company than Nikon and with a bigger R&D budget. They have technologies in their labs and testing grounds just waiting to be released. It seems to me, for the time being, Canon is happy to have the EOS-1D X lead the pack as their premier DSLR. The EOS-5D will be the flagship for the full frame, professional / semi-professional market. The EOS-7D will be the flagship of its APS-C line of cameras and that leaves room for an 'entry level' megapixel camera to compete with the Nikon D800. I expect the price to be aggressive, perhaps in the low to mid $2,000 and it may be introduced before or after the Photokina Show in Cologne, Germany in September. Canon recently released the Firmware 2.0 update to their highly successful EOS-7D camera. Many people think this means the MK II model will not come out for a while. I disagree with that assessment. If you look at the new features of Firmware 2.0, nothing was done to improve the sensor, processor, AF and ISO noise reduction. The EOS 7D is three years old and is the only 'flagship' camera in production still using the old Digic 4 processor. I expect the MK II version to have a new processor and a sensor in the 20 MP range. More robust AF system patterned after the EOS-5D MK III, improved HD video capabilities and weather sealing and most important of all, improved high ISO performance. The mediocre high ISO performance of the current 7D is its Achilles' heel and will be addressed by the next version. I expect either the megapixel camera or the EOS-7D MK II to be announced either before or after the Photokina Show with delivery expected early 2013. 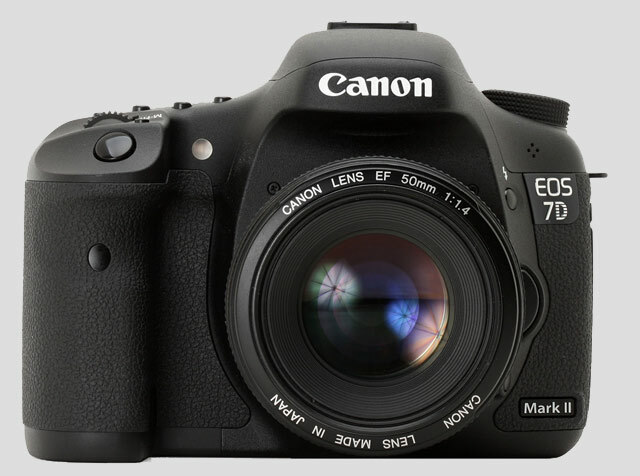 The price of the EOS 7D MK II should be around $2,000. Recently, I took the EOS-1D X on a grueling wildlife photo shoot to Alaska and Canada. The camera came through with flying colors but I have found room for improvement in their menu setup and made it known to Canon USA. Visit my MichaelDanielHo.com to see the photos and read my review of the camera.